The most important thing to keep in mind when completing this step is to be realistic. 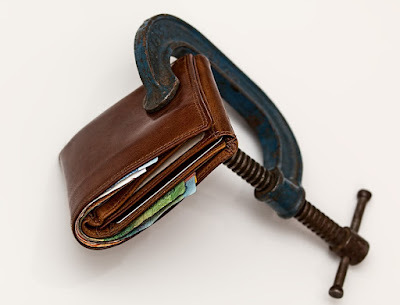 Just because you think you can cut your spending 50%, doesn’t mean you actually can. Go through each spending category and honestly evaluate if you can reduce your spending in that area. 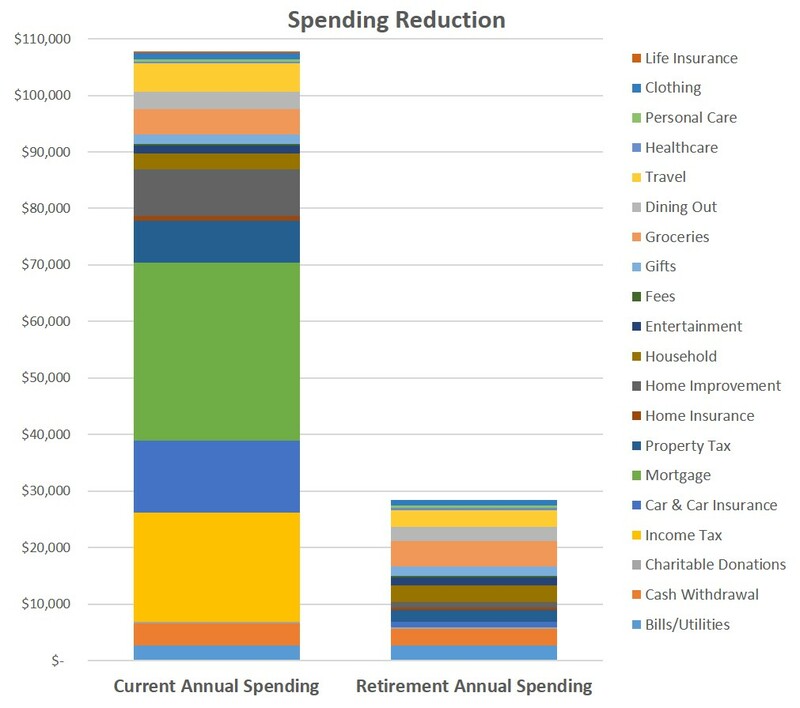 It’s fine if you can’t (or don’t want to), because the more categories you don’t plan to reduce, the more likely you are to actually be able to achieve your reduced spending goals. The most obvious place to reduce our spending is on housing. We clearly need some sort of shelter, so we need to figure out how to get that as cheaply as possible. Through a lengthy process I will describe in a dedicated future post, my plan is to sell our current house upon retirement and pay cash for a $200,000 home. This will be the critical enabler for our retirement because it will eliminate our mortgage, reduce our property taxes, and put cash in our pocket. Clearly, our expensive house has got to go. I will now organize each budget item into three categories: Eliminate, Reduce, or Maintain. It is very important to be realistic in this step, so many items will go into the “Maintain” category, unless I am certain they can be eliminated or reduced. I will also explain how I plan to eliminate or reduce any items I place in those categories. If we have little or no income, we obviously won’t have to pay income taxes. Paying cash for a house will eliminate our mortgage. If our house is paid for, I don’t see much of a reason to carry life insurance. Used for miscellaneous spending, with a lot going to splitting checks when dining out. If I’m not commuting, we can downsize our vehicle fleet and spending. Cheaper house means less property tax. Cheaper house also means cheaper insurance. We have done some expensive projects to our current house, making this category artificially high. Reducing this spending should be easy. If I’m not working and commuting, I will be much more inclined to cook. We want to budget a healthy amount for travel, but this category is also artificially inflated from our spectacular pre-baby European vacation. As you can see, eliminating income taxes and significantly reducing housing costs has dramatically reduced our budget from nearly $108,000 per year to under $30,000. The other modest reductions don’t hurt, but taxes and housing are clearly the main contributors. While this is a dramatic drop, I believe it is completely reasonable, given that it is based on our current spending. 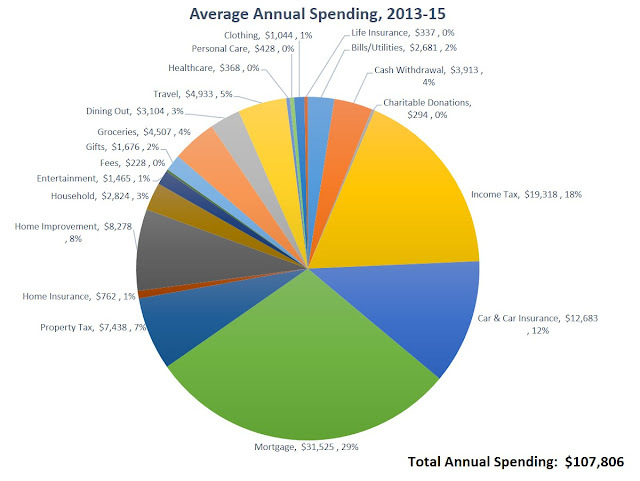 The color of each category corresponds to the Current Spending pie chart above. This is my favorite. It really puts things in perspective. The last thing to consider is whether our spending will increase in any categories. I don’t think it will, but I will briefly discuss one category that most people will probably worry about. Healthcare, or more specifically, health insurance. My job currently covers 100% of my family’s health insurance, which is wonderful. When I quit, we will need to figure out how to pay for our own coverage. Except we won’t. Due to the fact that we will be “poor” (technically we will be low income), we will qualify for highly subsidized insurance coverage. Covered California is currently estimating a Silver Plan will cost us about $20 per month to cover the whole family if our income is $30,000 or less, which it most likely will be. $20 is pretty much negligible, so I didn’t bother changing our healthcare budget. I know healthcare is a contentious issue for some, so I won’t go into the politics, other than to say I will happily accept cheap healthcare if it’s offered to me. It would be a bit silly not to. 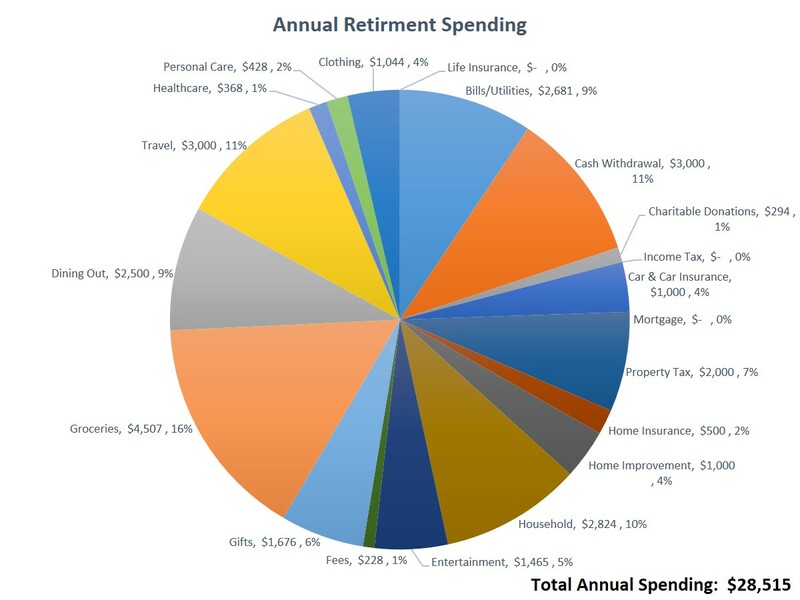 Now that I know about what my spending will be in retirement, I can complete Step Four and calculate when I can retire if we incorporate this new, reduced budget upon retirement. That will be covered in my next post. Let me know how much you think you can reduce your budget in the comments.